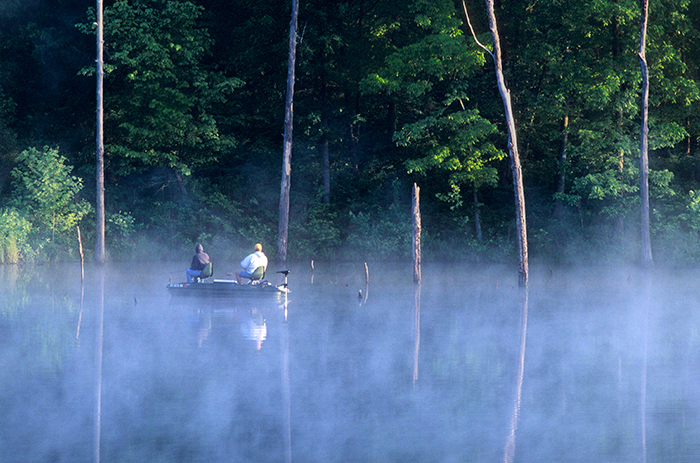 Tranquil scene of early morning fisherman on Duncan Lake. The calm waters and cool temperatures of an early May morning made for a pleasing composition. The reflecting tree trunks and the mist combine very well to make this image work.